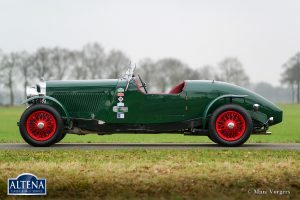 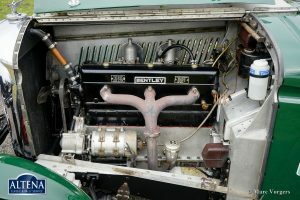 Bentley 4¼ Litre special, year 1938. Chassis number B105LX, engine number D9BX. 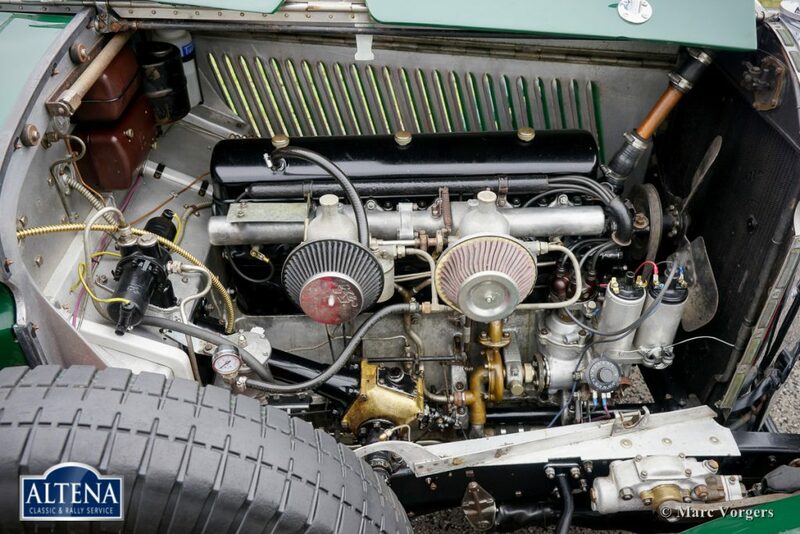 Chassis and engine are a factory original pair; matching numbers. 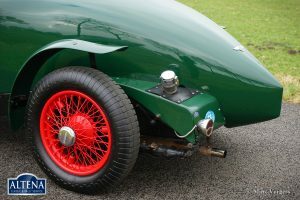 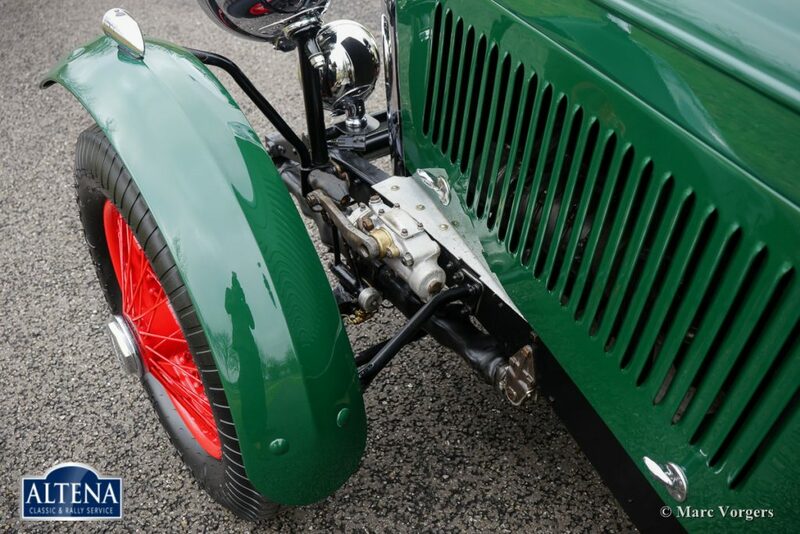 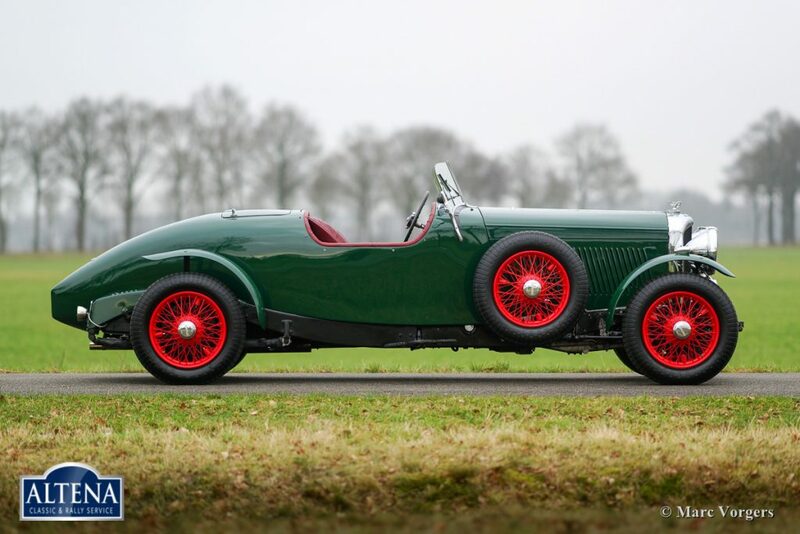 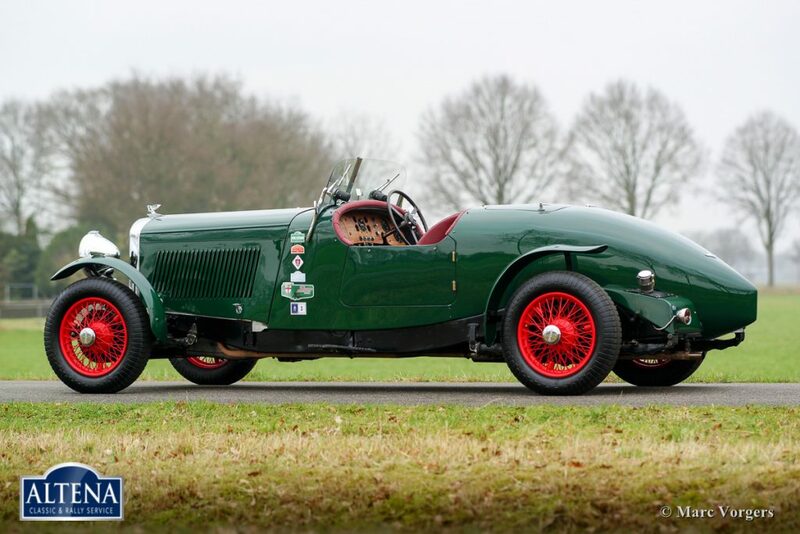 Colour British Racing Green with red painted wire wheels. The car shows off a red leather interior with black carpet. 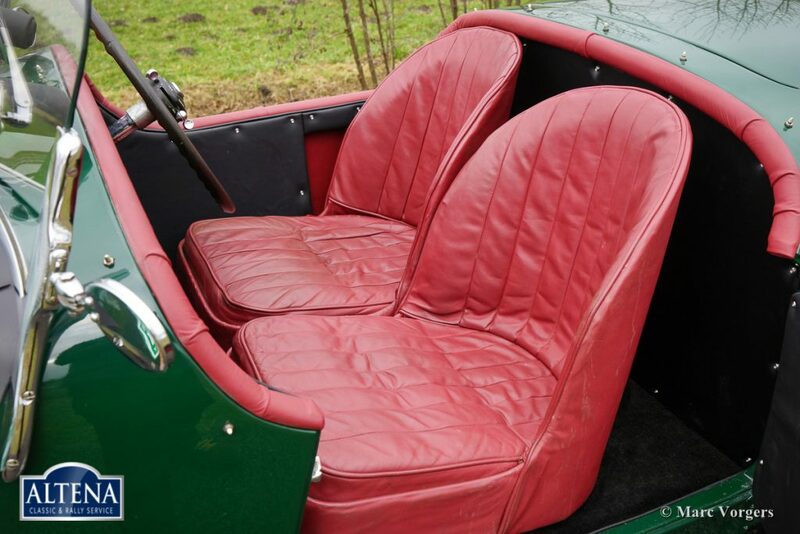 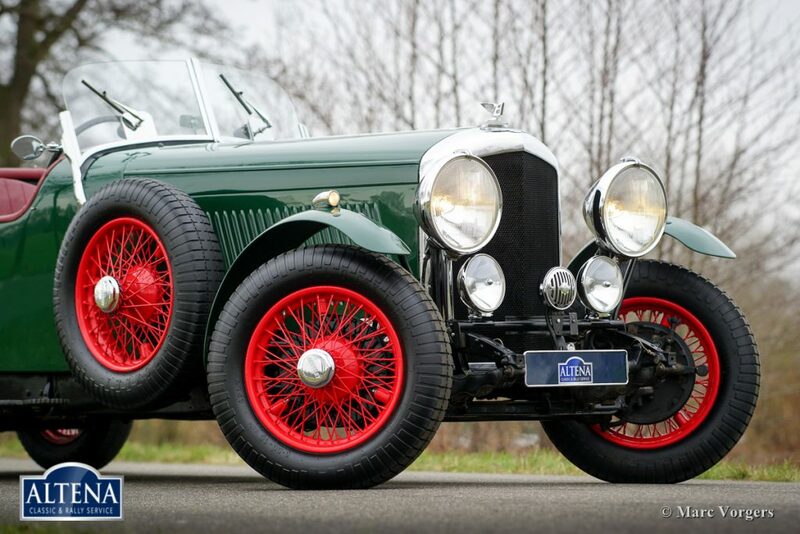 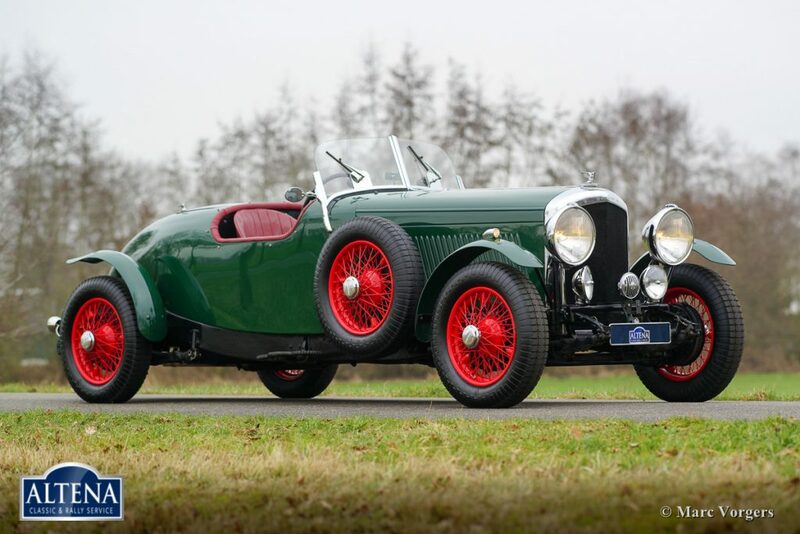 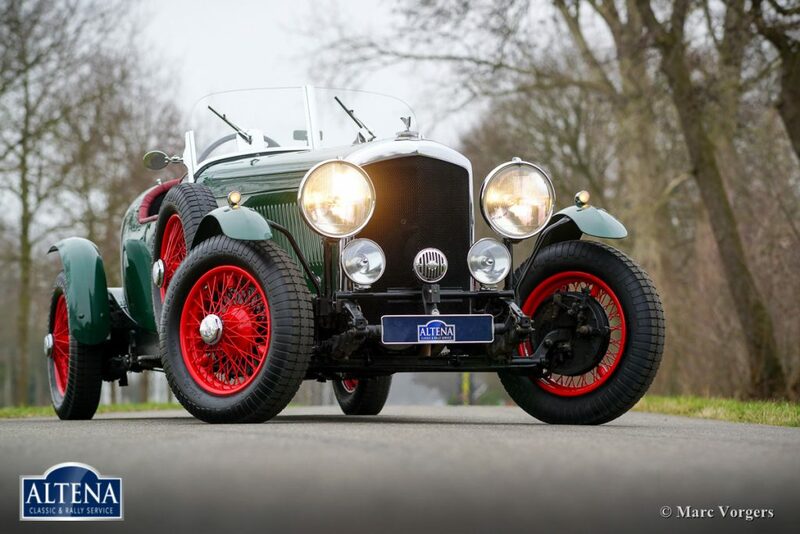 This magnificent Bentley special is in excellent condition! 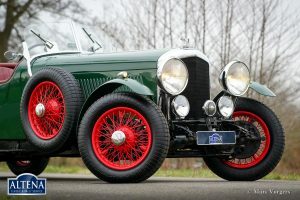 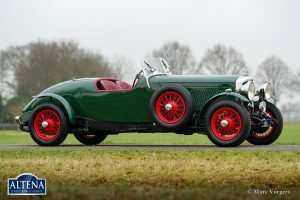 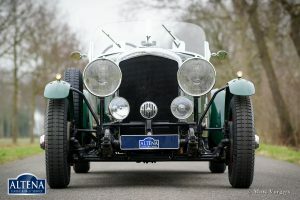 This is a Bentley built after the Rolls Royce take-over in 1931. From 1933 Bentley’s were manufactured in Derby, East Midlands, UK. 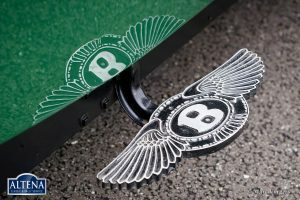 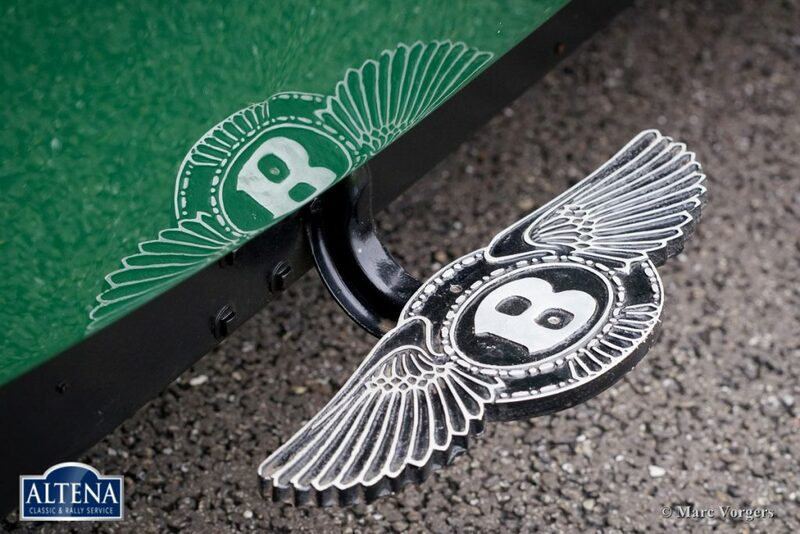 The Bentley motor-cars of this period are named ‘Derby’ Bentley’s in our modern days. 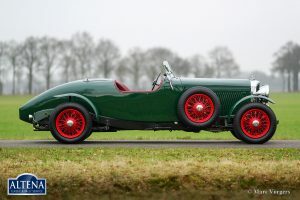 Because of the Rolls-Royce influence and the R.R. 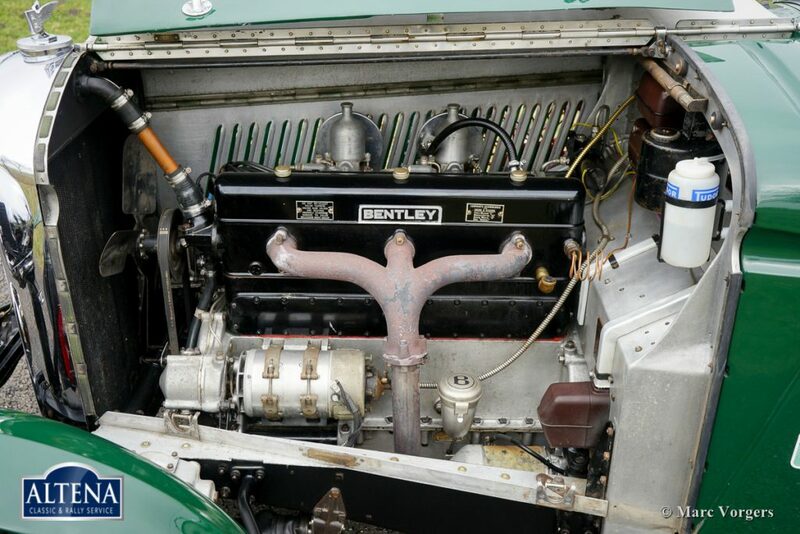 technical superiority these Derby Bentley’s turned out to be magnificent cars. 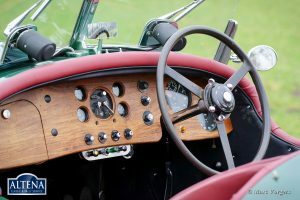 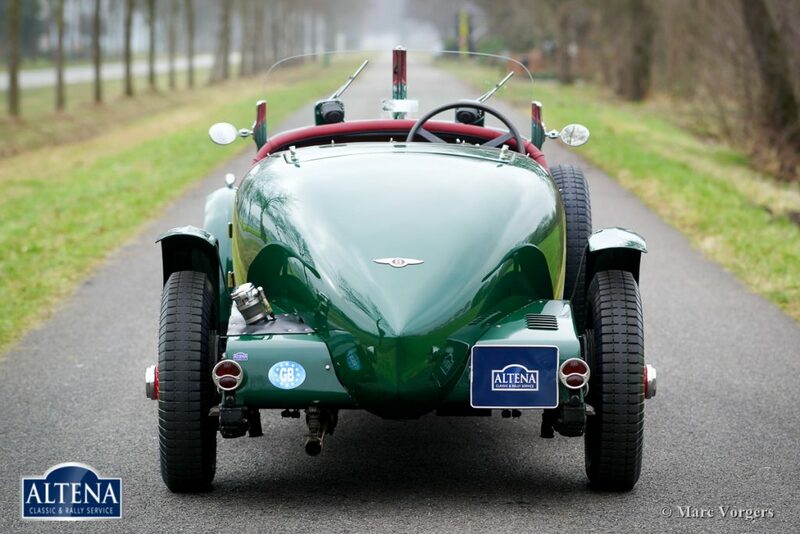 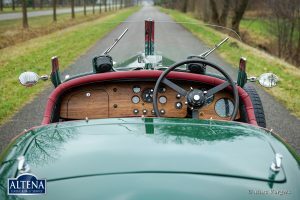 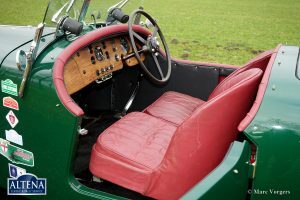 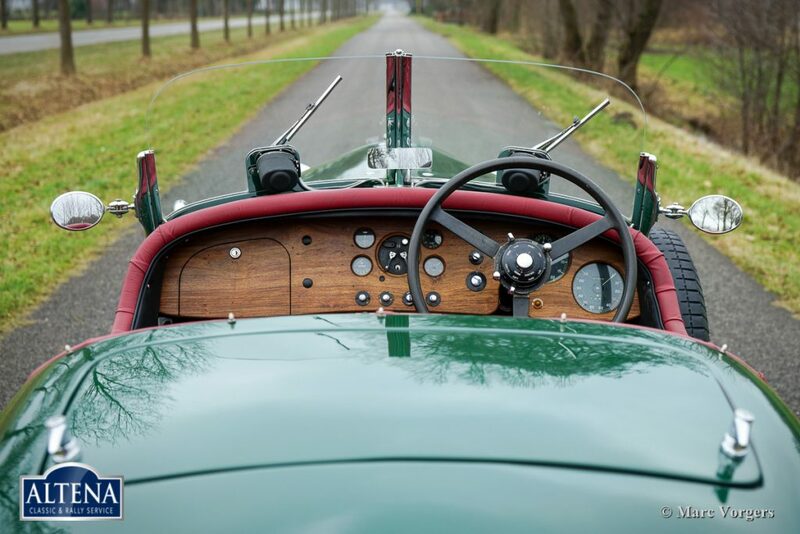 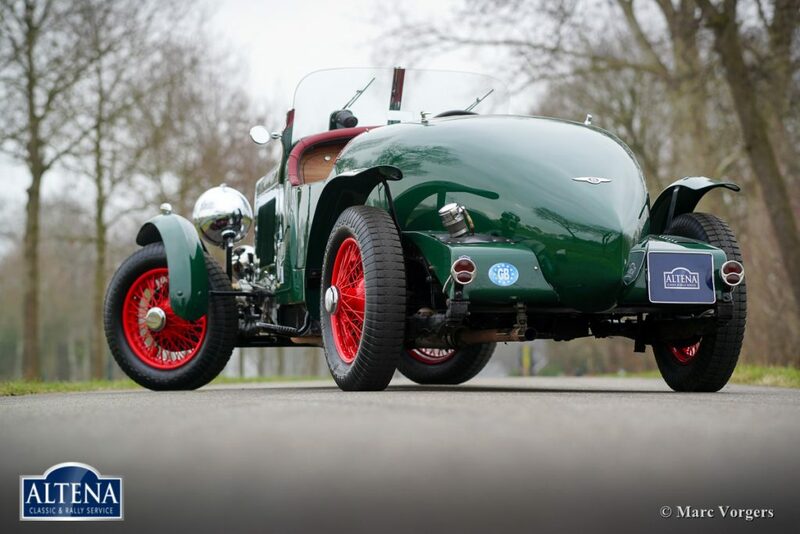 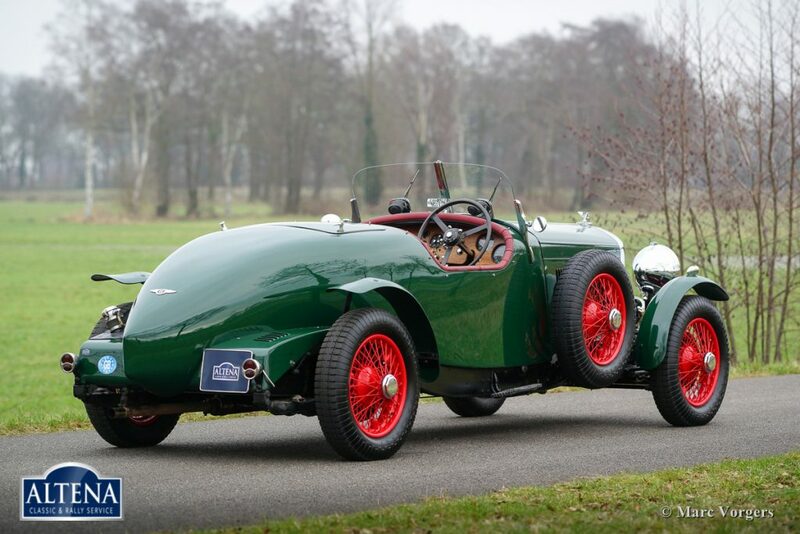 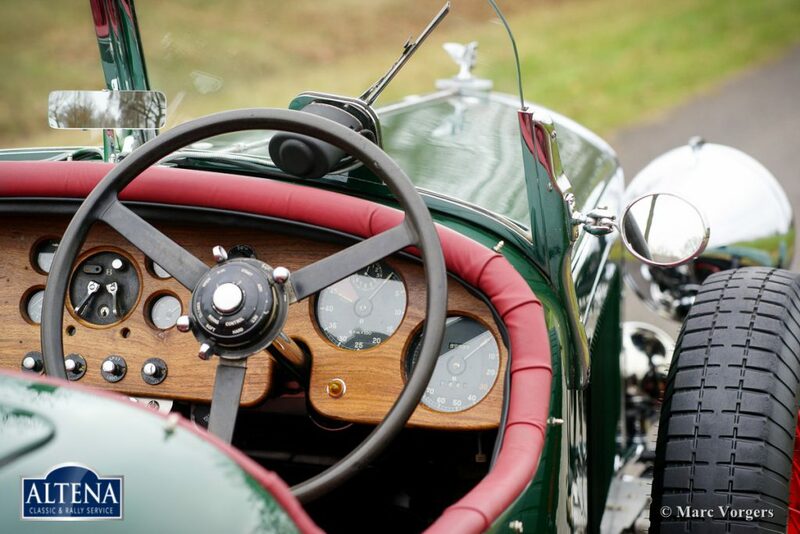 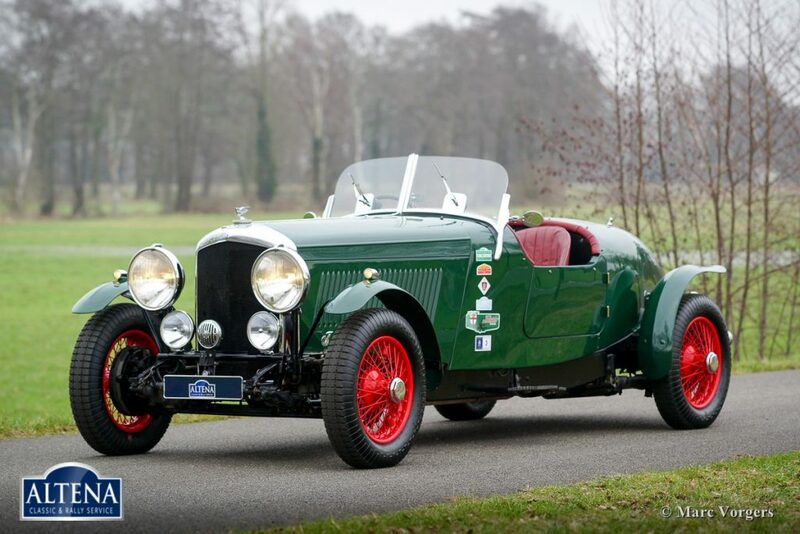 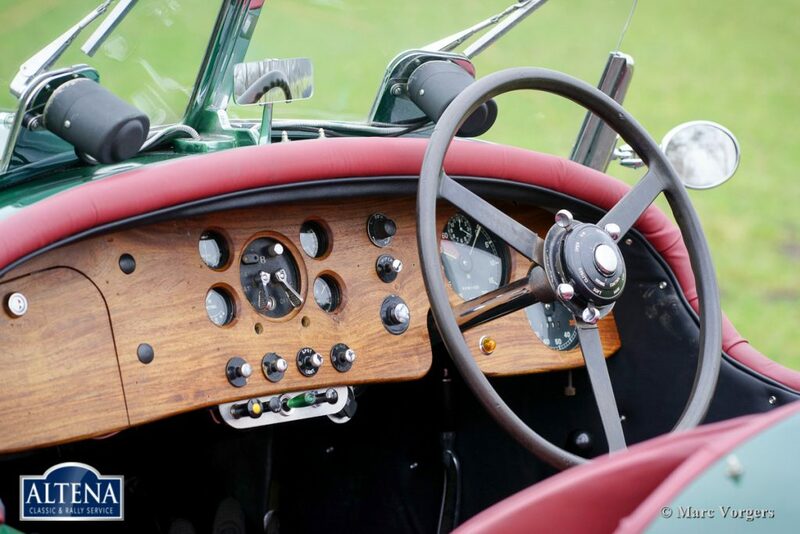 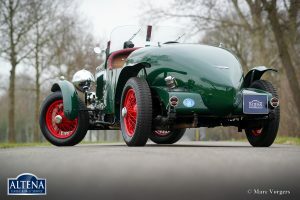 This Bentley 4¼ Litre special drives perfect and all the controls are easily operated by any driver! This Bentley features the top-of-the-line 4¼ litre engine mated to a four-speed manual gearbox and overdrive! 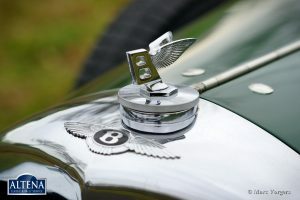 The special aluminium body-work was handcrafted by an English Bentley specialist. 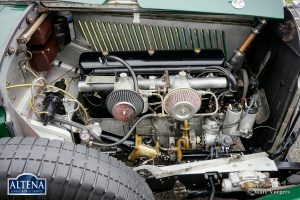 A photo reportage of the build is present as is other documentation. 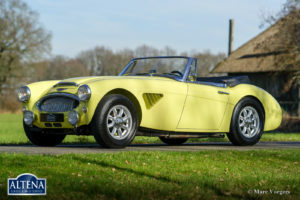 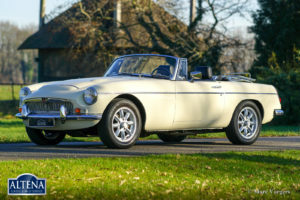 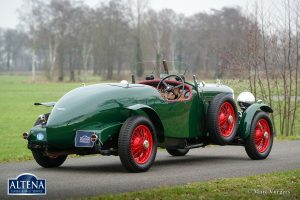 The car is registered in the United Kingdom under number PTT-626. 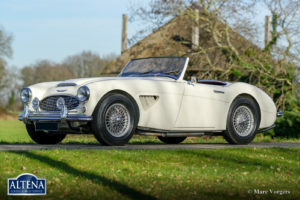 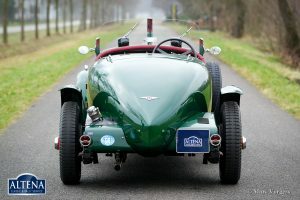 The car is listed in the Bentley register.